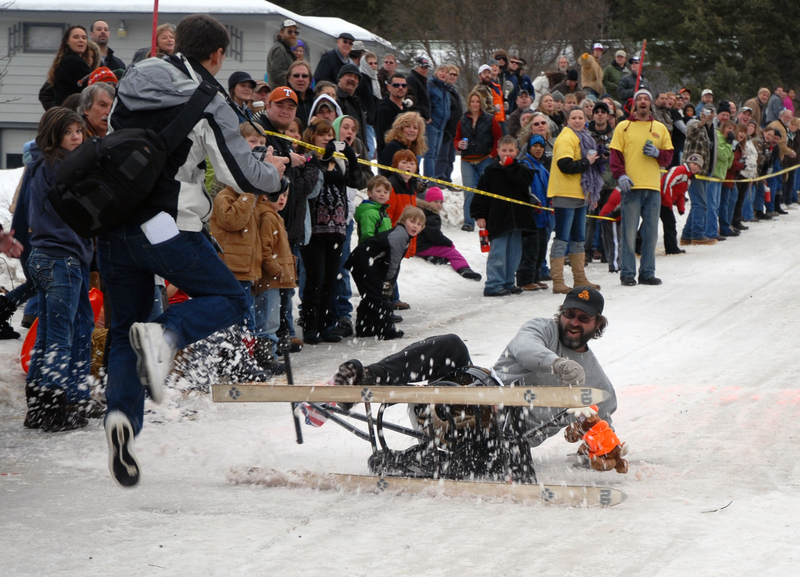 There can be a bit of occupational hazard covering the barstool races. 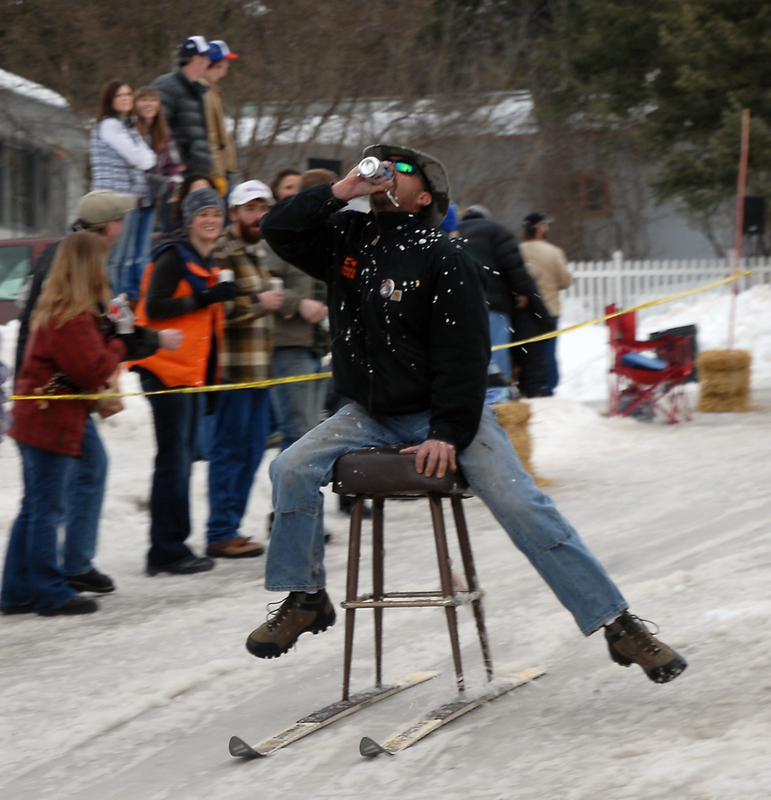 Here, local photojournalist and friend Nate Chute barely avoids a run-in with a barstool. Notice his right hand and the fact that he’s still taking pictures while leaping into the air. Check out his photo blog here. 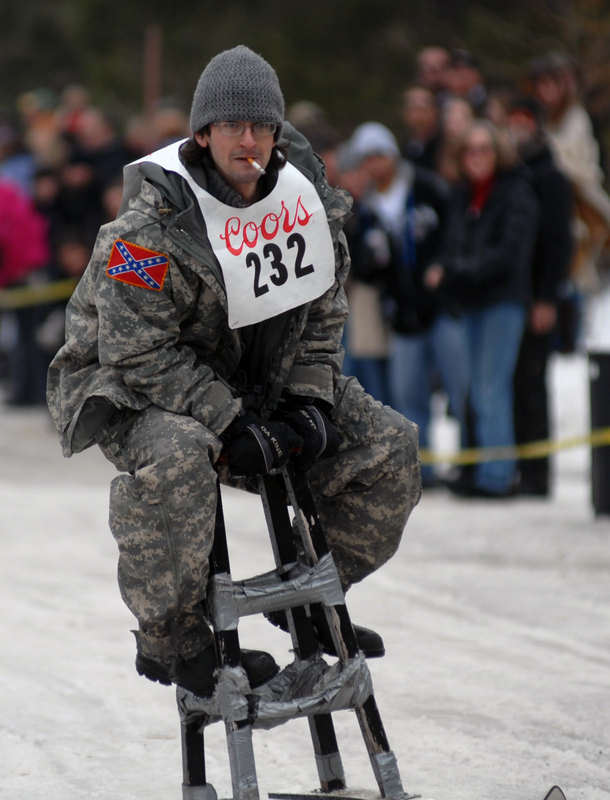 Smokin’ toward the finish line. 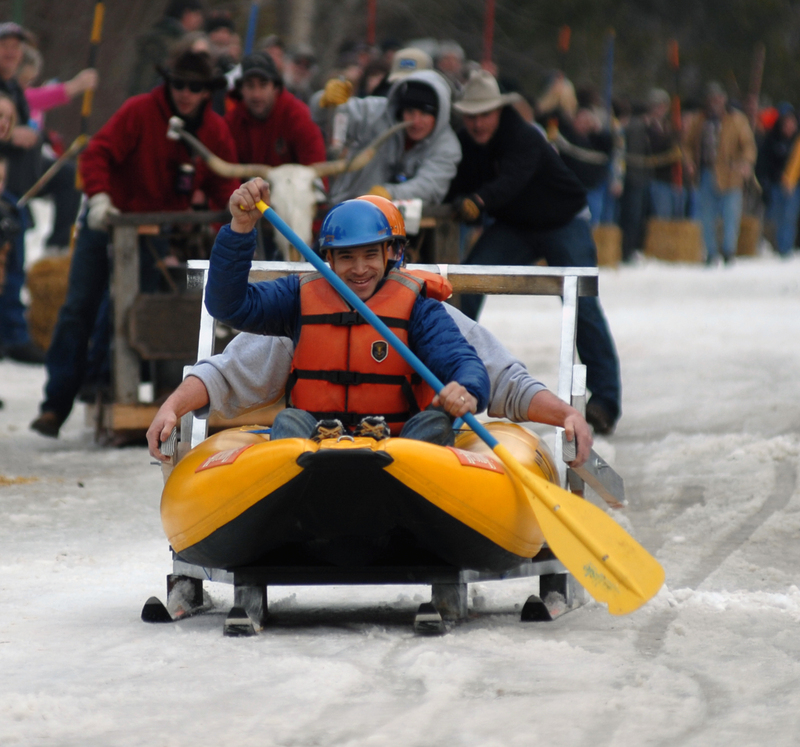 Here’s Nic Lee “paddling” toward the finish line. This guy popped open his beer one-handed while zipping down Sugar Hill. In the true spirit of Cabin Fever Days, classy and talented! 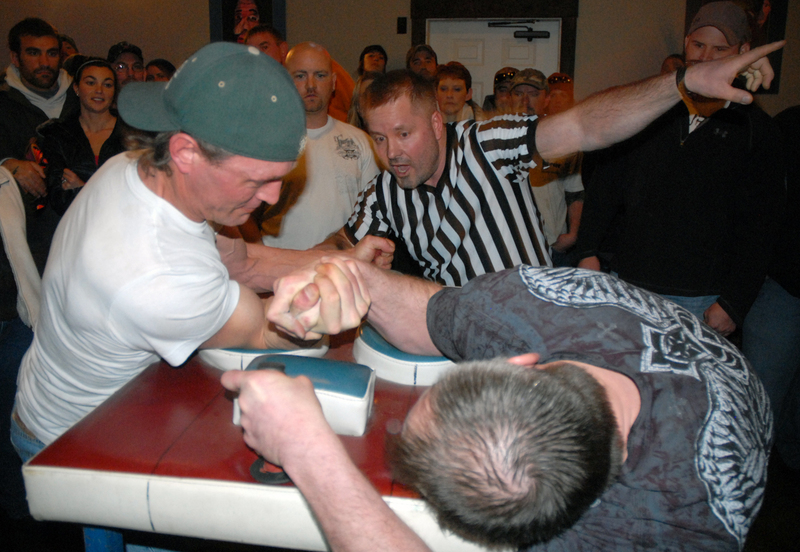 Arm wrestling contest at the Stonefly Lounge. 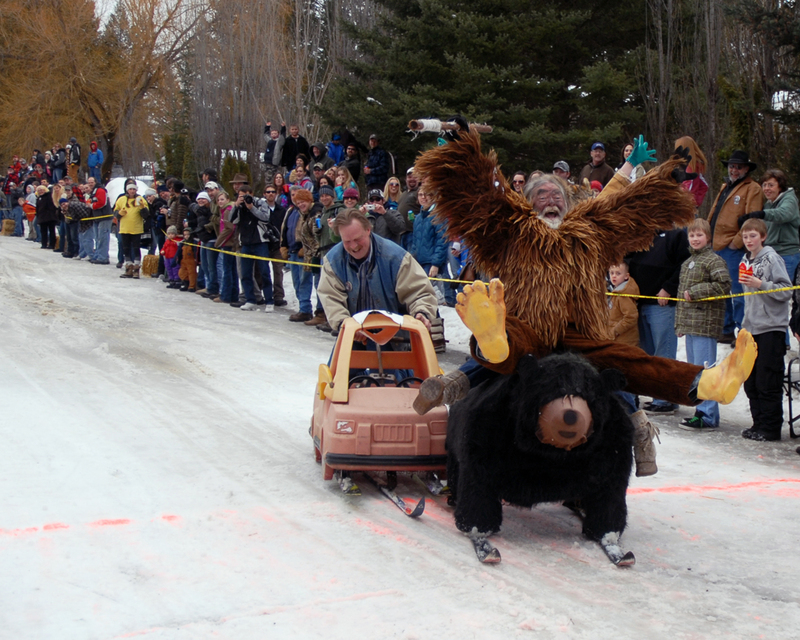 Of course no Cabin Fever Days event would be complete without the mountain man contest. Here’s one rockin’ the buckskins.